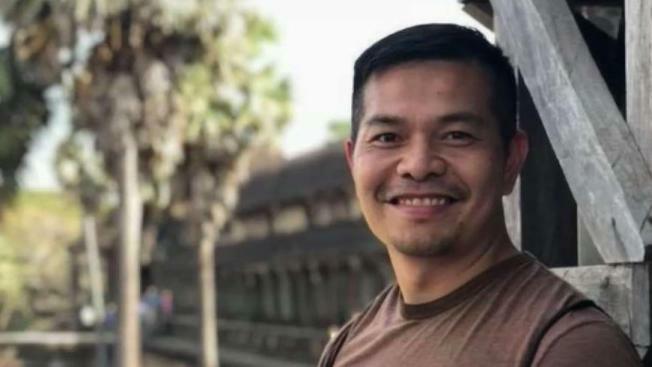 The San Francisco rideshare passenger killed over the weekend in San Diego when a suspected drunk driver barreled into his car was in town for a wedding, his family says. Giao Pham, 40, and his friend Andy Lynn were in a Lyft Saturday morning on the way to their hotel when 21-year-old Alondra Marquez rear-ended them on State Route 163 near Quince Street. Both cars ended up drifting off the freeway, landing in a ditch off the shoulder, and first responders needed a saw and the jaws of life used to help free Pham from the wreck. Pham, a San Francisco resident, was killed in the crash. Family members told NBC 7 that Pham was the youngest of 10 children, and is a person that "you just don't forget and for all the right reasons." A GoFundMe page was created in Pham's memory. Lynn, from San Leandro, was ejected and remains in the hospital with major injuries. Pham's Lyft driver and the suspected DUI driver were also injured. California Highway Patrol Sgt. Brent Lowry said the crash involved a white Mazda sedan – the Lyft vehicle, carrying the Pham and his friend in the backseat – and a 2016 Lexus sedan. CHP investigators said Pham was wearing a seatbelt but Lynn was not. The Lyft driver, a 27-year-old Santee resident, was buckled in. He suffered moderate injuries and was taken to UC San Diego Medical Center, Lowry said. He is expected to recover. Marquez was released from the hospital and is facing a vehicular manslaughter while intoxicated charge and multiple counts of DUI causing injury or death.